Tracey graduated from the International College of Oriental Medicine with a BSc Honours in Acupuncture and is also a member of the British Acupuncture Council. As part of her continued post-graduate development, Tracy is extending her clinical expertise by participating in an intensive international programme of Classical Acupuncture with the Xinglin Institute which studies the use of acupuncture for complex medical issues. In addition, she has continued her professional development in areas of fertility, gynaecology and pregnancy. 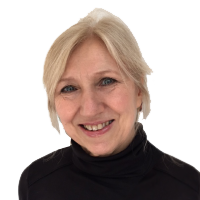 As well as working at the LSE Treatment Clinic, Tracey also runs her own busy acupuncture practice in South East London. Keen to share her knowledge Tracey has given regular talks about the use of acupuncture to various groups, including Alzheimer’s, Dementia and Parkinson’s disease.